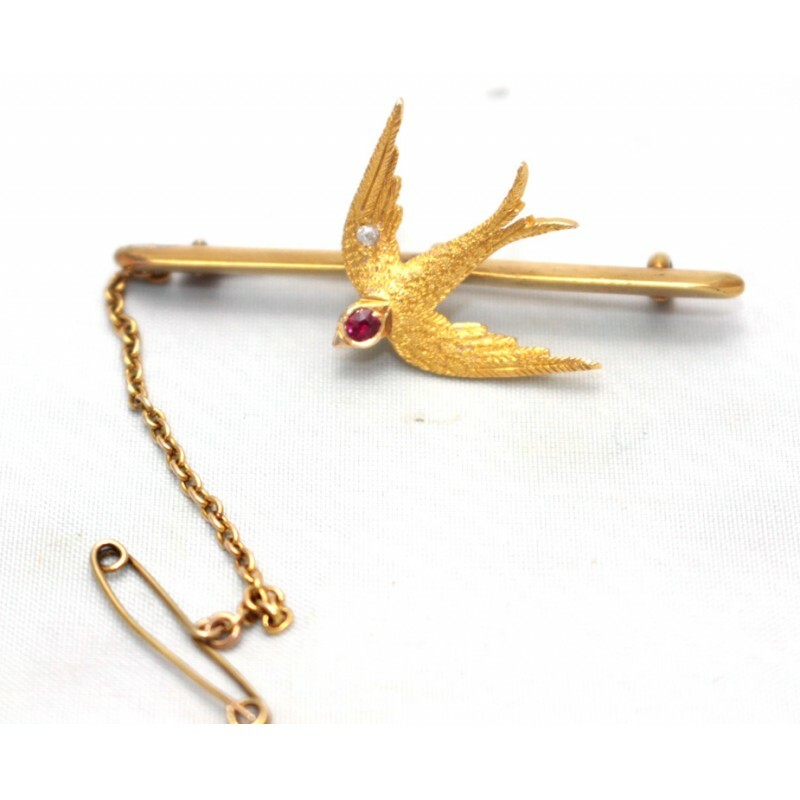 This gorgeous brooch features a swallow bird with a ruby set on its head and a round diamond set on its top wing. Beautiful piece with much detail on the bird's body. 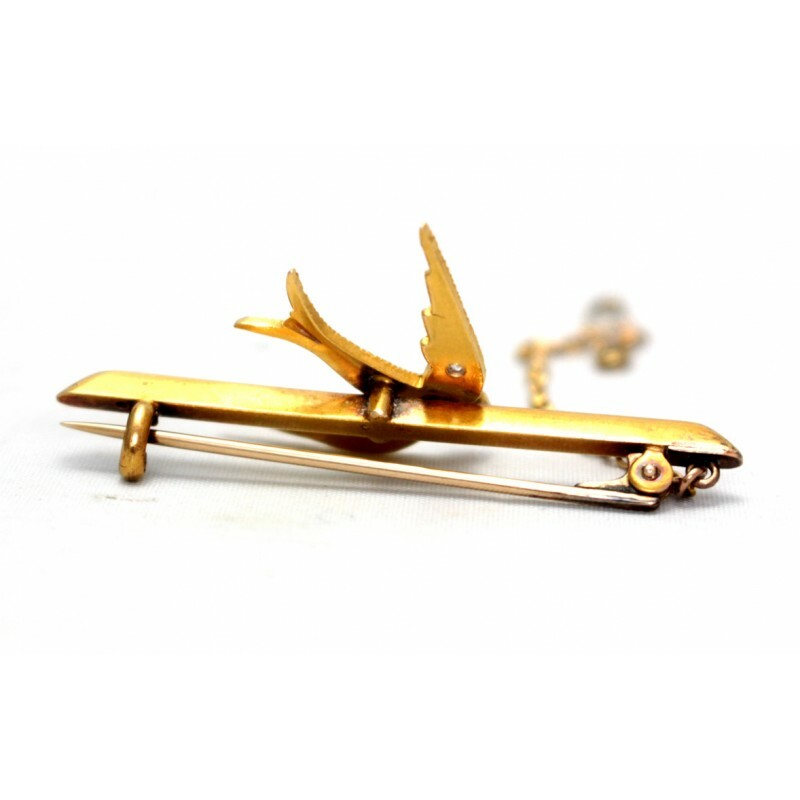 All 15ct yellow gold.